Lots of great cities have sculpture parks – they’re wonderful places to walk around, enjoy the fresh air, and interact with unique, 3-dimensional pieces of art. Now it’s time to develop a Sketchfab VR sculpture park that can be enjoyed from the comfort of your living room, without sunscreen or walking shoes. The beauty of a VR sculpture park is that you will be able to experiment with things like scale and physics in ways that you might not be able to in reality. Your model will be combined with others into a large park that can be explored using your favorite VR equipment. 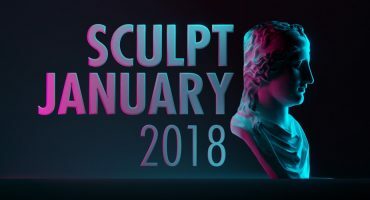 TL;DR: Use your favorite modeling software to create a sculpture that looks great in VR, upload it to Sketchfab, tag it #VRSculptureParkChallenge and make it downloadable. Use any tool you like to model an abstract sculpture that has no more than 10k polys. The model needs to be static, and cannot be animated. Give the sculpture a title and a brief (max 50 words) description. 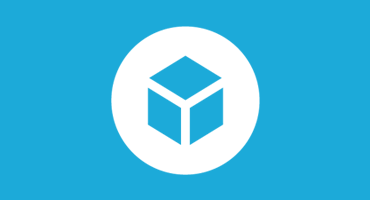 Make your model downloadable to allow us to add it to a combined VR ready scene. Once you’ve created your scene, upload it to Sketchfab, tag it #VRSculptureParkChallenge. Contestants’ models must be uploaded to Sketchfab and tagged #VRSculptureParkChallenge to be considered. The winners will be contacted by Friday, July 6th. This is a minor clarification, but “10k polys” means 10k triangles, correct? Not quads? 10 thousand quads is OK too. Either way, we recommend trying to be as efficient as possible so that when we combine all the models in one scene that it performs well in webVR. 1) Are there any limits to textures/materials? I’d like to incorporate a pure reflective surface and a couple of hi-res textures, but the rules don’t mention them. 2) What about lighting? I don’t know what kind of VR environment this will be rendered in, and for my purposes I’d like to prevent shadows ruining the effect I’m going for. You will be judged on your model, not how it looks in the final scene. Depending on how many entries, we get we may not be able to spend a lot of time setting up all the materials again in the final scene but we will do our best to remain faithful to your vision. I may ask, what are the “3 maps”? You mean Color/normal and?? specular? If I got this right, we can not provide Albedo/normal/roughness/metal/AO/transperency ? Hey Kayess – while you can certainly use more maps if you like, this max limit is really to help us when we create the combined scene with all the entries – we just won’t have time to set up more than 3 maps per model. We will of course try to keep as close to your artistic intent. Your entry will be judged independently of how it looks in the combined scene. hello there – I just wonder, if the final scene is meant to be PBR or not? I saw, only 3 maps were allowed, so no transparency, glow, metal, roughness? Just Color, normal and.. specular (old style texturing)?